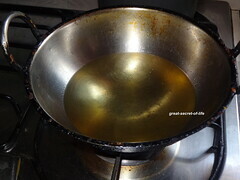 Heat the oil in deep curved kada. 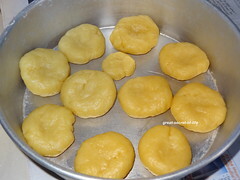 When you add pinch of dough it should raise immediately then the oil is read for frying. Add couple of badhusha and switch off the flame. 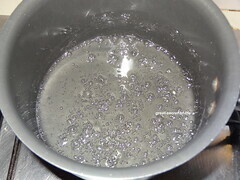 Let it cook for a while till "shhhh" sound subside and bubbles disappear. Then switch on the flame again. 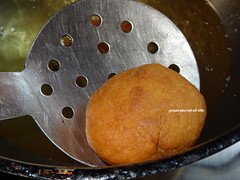 And cook the badusha in medium low flame till golden brown. 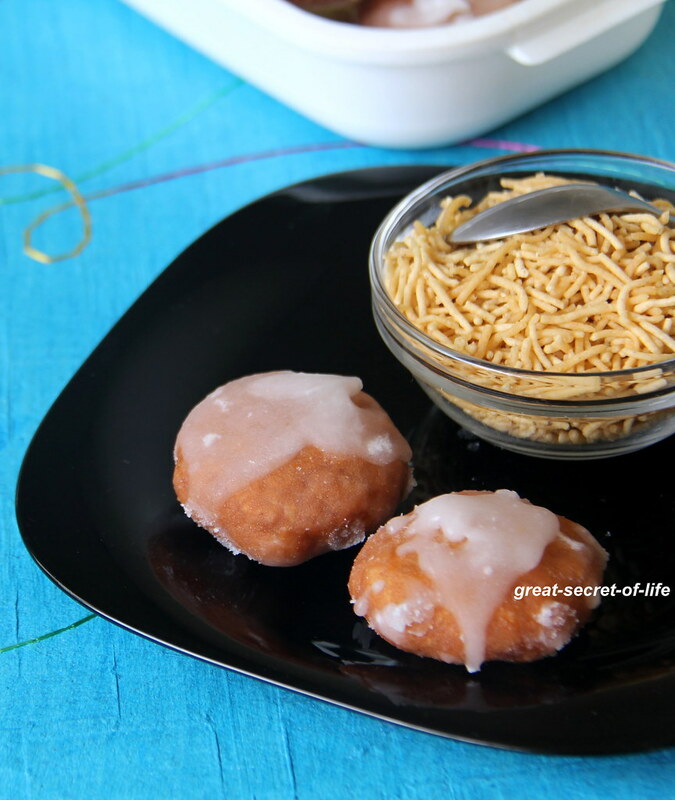 This is very important to get flaky badusha. 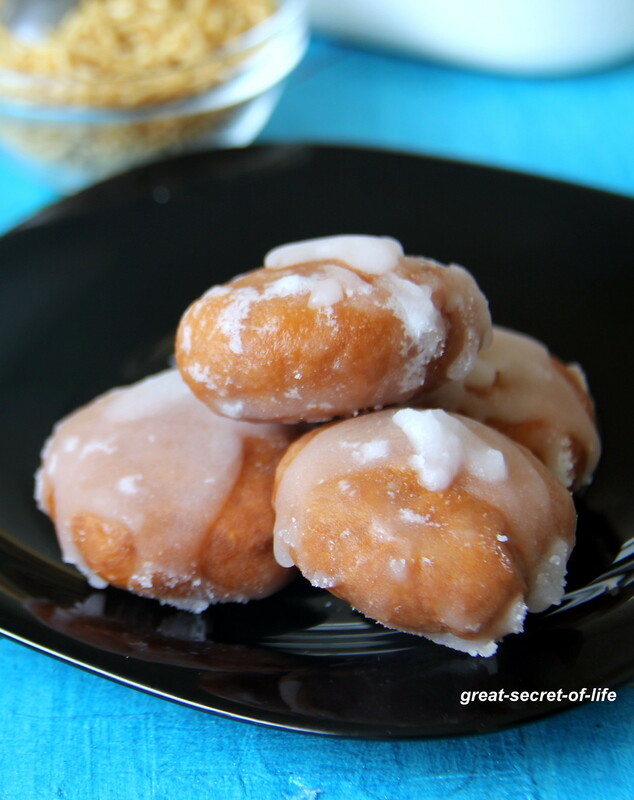 While cooking badusha you can prepare the sugar syrup. 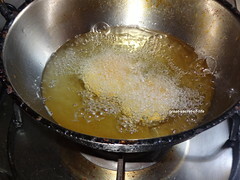 Add sugar and water in a pan and boil it. 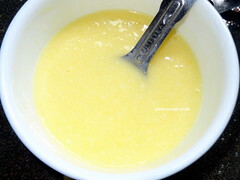 When the sugar syrups forms to a single string consistency add cardamom powder. 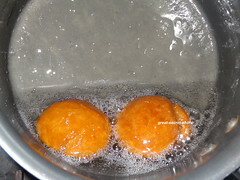 Once Badhusha is cooked drain the oil well. 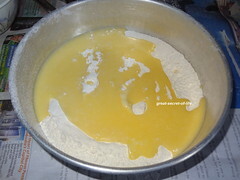 add add it to sugar keep it immersed in the sugar syrup for 2 mins and take it out. 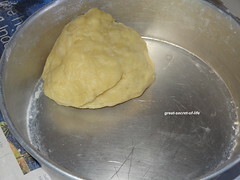 Arrange it in a tray or container. 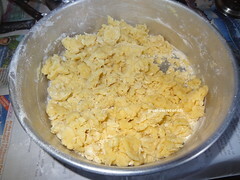 Looks absolutely delicious..This is exactly the way my mother's badushah. .looks like. 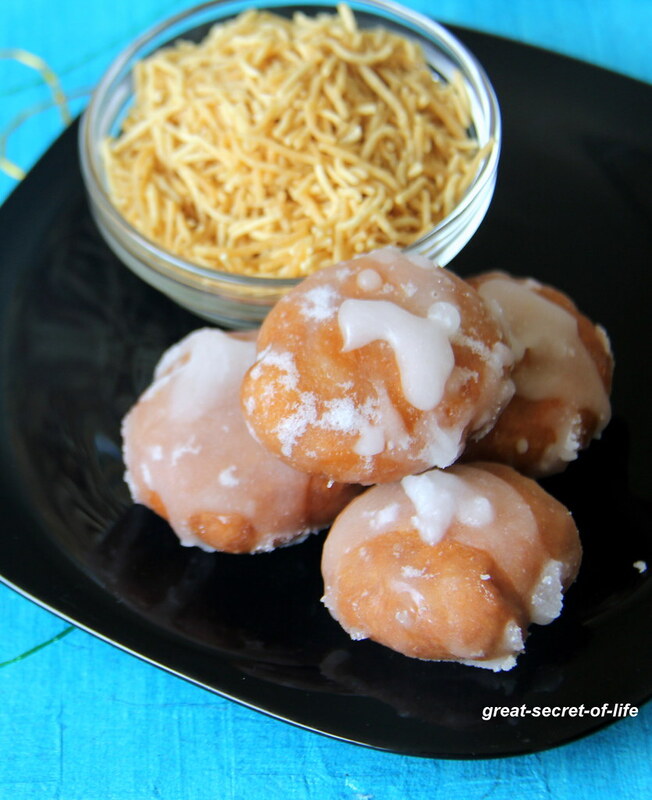 Delicious and perfect looking Badusha! nicely done, looks like u already preparing for diwali. 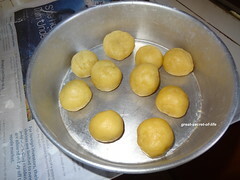 My favorite dessert...........................perfect for this diwali. 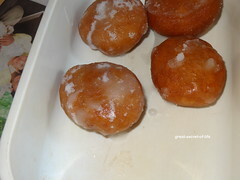 Cant resist, badushas are my favourite..
these look so tempting and I'm drooling here just looking at these badushas! I love this blog. It's my favorite sweet. Thanks for sharing.